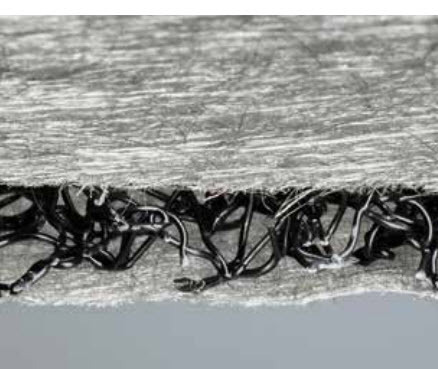 The Enkadrain product family consists of a range of drainage composites comprising a polymer drainage core connected to a protective and filtering nonwoven on one or both sides. 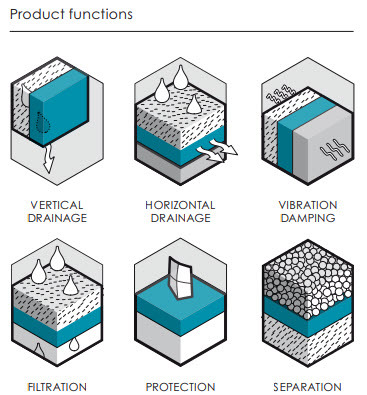 Enkadrain can be used in a variety of horizontal and vertical applications, combining drainage, protection and filtration in one product. 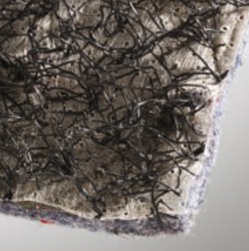 Looking for high-quality erosion control products- drainage mats, nonwovens, wovens, knitted fabrics, three-dimensional polymeric mats, construction fibres and composites for Civil Engineering, Interior, Construction, Agro and Industrial applications? We are a top distributor/ supplier of Enkamat/ Enkadrain products and offer competitive pricing. We can ship all over the world, and yes even to Australia and the U.K. It would be our pleasure to help you. Please view the products and their product specifications below. Click here for the Bonar/ Enkadain flow chart. 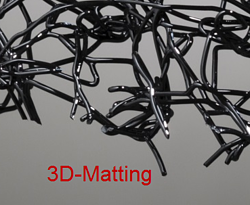 3D-mats are unique strong three-dimensional open structured polymeric mats, made of monofilaments fused together where they intersect. Erosion control and turf reinforcement along with other civil applications. 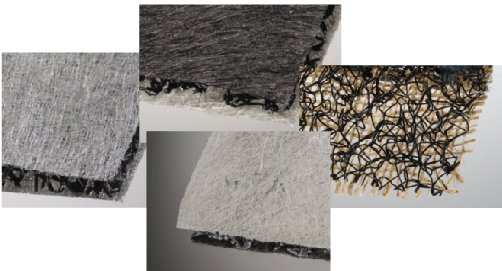 By using a « composite » of a 3D mat with a needlepunched nonwoven fleece, a so-called growth medium carrier can be made which is excellently suited for thin vegetated mats used as greenroofs..
Access all the Bonar products here instead of by category. Geogrids are geosynthetics used for soil reinforcement. 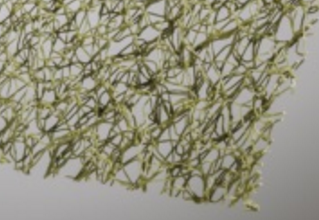 Made of polyester, polypropylene or PVA, they can be woven, knitted from yarns or laser-welded from tapes. Enkamat Installation Guide for Slopes and Channels- This guide explains the installation of Enkamat on channels and slopes- complete with diagrams. Selection Guide For Enkadrains on Sloped Green Roofs- This guide defines the roof gradient and suggests which Enkadrain will best suit the situation. Applications include green roofs, plaza decks, beneath slabs, planters, under pavers, foundation walls, radon mitigation, hydrostatic pressure relief, and much much more. Video of a high speed railway in Poitiers and building foundations in Paris. Two prime examples of how our Enkadrain can be used vertically - for drainage of a railway embankment and behind basement walls. Enkamat Questions? We are here to help!